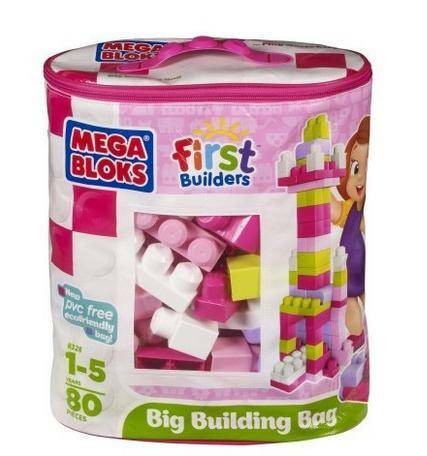 Home / Deals / Online Deals / Amazon Deals / 80 Piece Pink Mega Bloks Big Building Bag $11.99! Here is a great price on the 80 Piece Pink Mega Bloks Big Building Bag marked down to just $11.99! This is 40% off of the regular price of $19.99 and is perfect to grab on the cheap for Christmas! I don’t think this will last long, so hurry and get your Pink Mega Bloks Big Building Bag while the price has dropped! UPDATE: The Price of the Classic Colors Mega Bloks has also dropped to $11.99 so if you don’t want the Pink Set you can grab this one now!